Curriculum designed and distributed for use by educators at every level. Sign up with your email address to receive curriculum download link and to receive news and updates. Thanks for signing up! The link to download the curriculum will be emailed to you shortly. Students will learn about black bears; their physical features, lifecycle, diet, and habitat through literature, discussion, movement, and games. Students will also discuss what makes a habitat and how to safely share it with black bears. Students will learn the differences between wild and domesticated animals using the domestic dog and the wild red wolf as examples. Students will learn about physical features, lifecycle, diet, and habitat needs of red wolves and other canids (coyote and red fox) through literature, discussion, movement, and games. 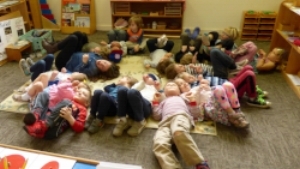 Students will learn about local (WNC) salamanders; their physical features, lifecycle, diet, and habitat through literature, discussion, movement, and games. Students play a physical game that leads them through the red spotted newt’s life cycle. 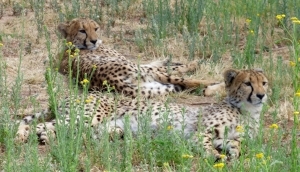 Students will learn about African animals and how they are adapted to life in grassland savannas, with cheetahs as the focus. Students will also learn how both predators and prey can use camouflage among other adaptations to stay safe and find food. Students will learn about the five types of rhino species in this self guided stations activity. Students will learn about some of the obstacles monarch butterflies face while migrating on the east coast, from Mexico to Canada.